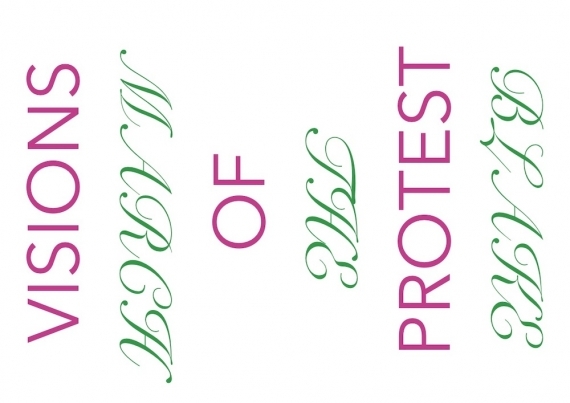 This year's Small Press Project 04, Visions of Protest: BLAKE THE MARCH, has been used as a critical lens through which we can focus on what connections exist between the democracy of print, their aesthetics and the autonomy of artists’ books and publishing. It takes place from 4 - 9 March 2019. 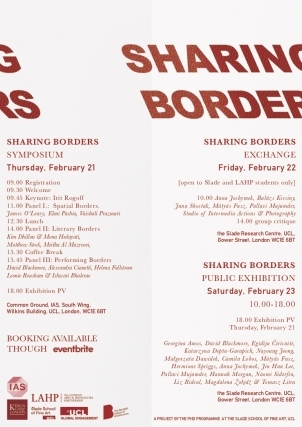 In a time of heightened consciousness around borders, at a variety of scales from the geopolitical to the individual, this symposium aims to facilitate international and transdisciplinary dialogue on the subject of borders, both visible and invisible. 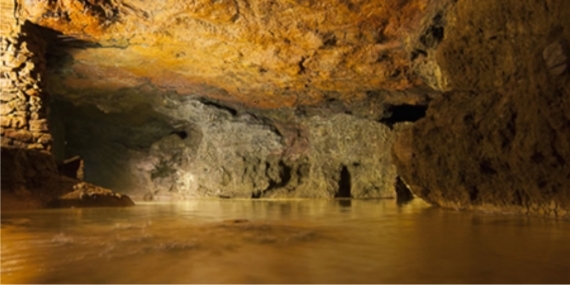 This year’s Slade Scientist in Residence, Dr Ruth Siddall, will give her inaugural lecture, Arcadia Lost: Geologies and Art Histories of Classical Landscapes on Wednesday 24th October, 1.10pm-1.50pm in the Slade Gallery. 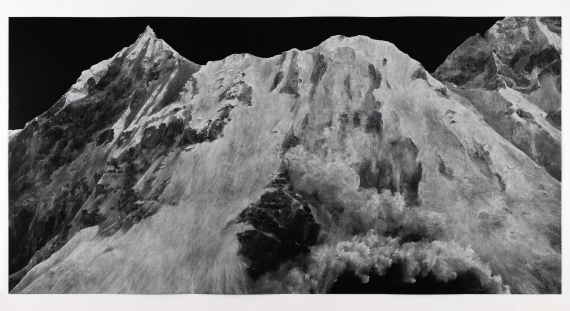 The Slade School of Fine Art is delighted to welcome internationally acclaimed artist and Slade alumna Tacita Dean to give the next William Townsend Memorial Lecture on Thursday 4th October. Please note: the event is now sold out. 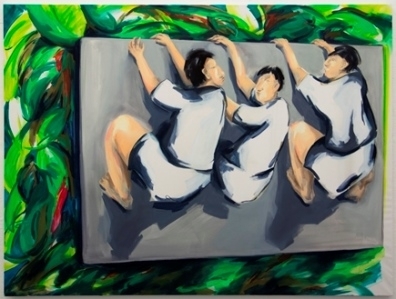 The So Chau Yim Ping Distinguished Visiting Scholars and Artist-in-Residence Scheme is a residency programme, organised by the Academy of Visual Arts, Hong Kong in collaboration with the Slade School of Fine Art. 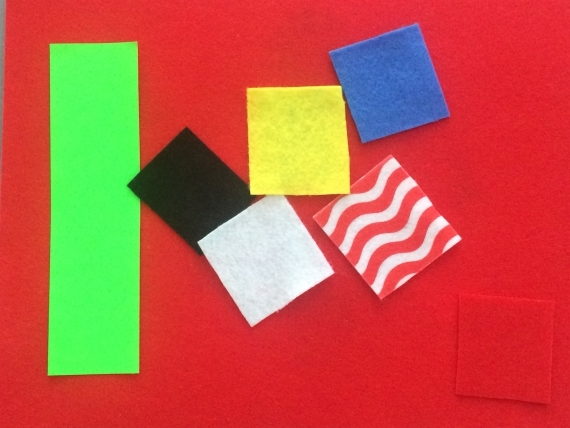 Redress is the result of collections-based research completed by Slade artists as part of UCL Art Museum’s tenth annual artist-in-residence programme. 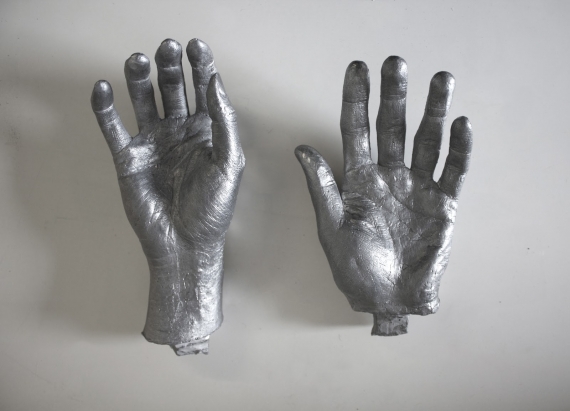 Dr. Sarah Fortais is looking to cast 60 anonymous hands from the UCL community, to be used in the creation of a new art installation on Wilkins Terrace. Staff, students, alumni, and volunteers from UCL are all invited to participate. 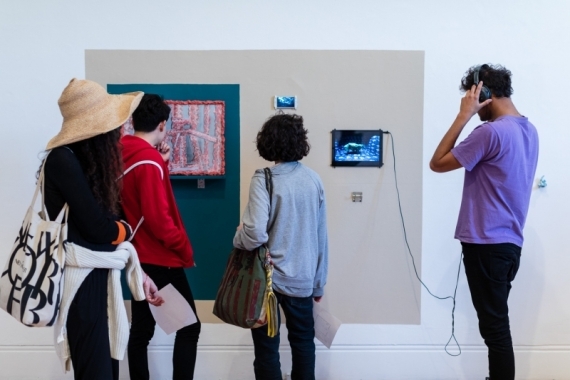 Join us for the launch of London Summer Intensive artists' work in progress showcase at the Camden Arts Centre, open to view until Sunday 19 August. 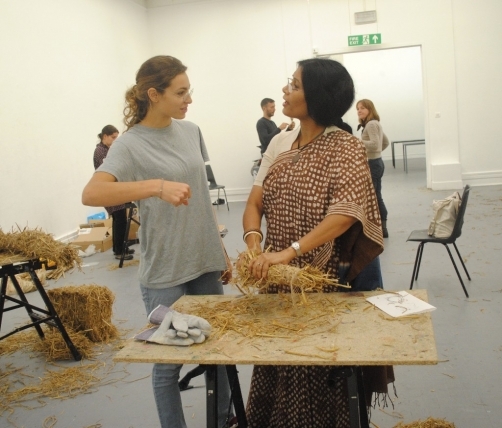 The London Summer Intensive is a four-week residency for artists offered by the Slade School of Fine Art, UCL and Camden Arts Centre. 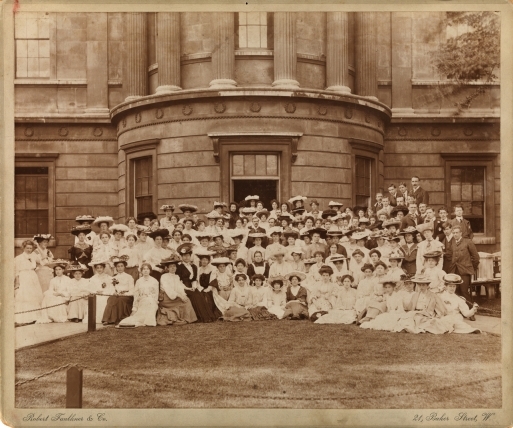 To commemorate the 150th anniversary of the death of the School’s founder, Felix Slade, we opened our doors to the public and all Slade alumni to join on Thursday 7 June. 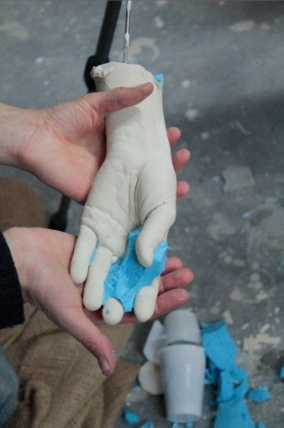 This interdisciplinary conference and object-led-learning workshop will explore the interconnectedness of humans and nonhumans. 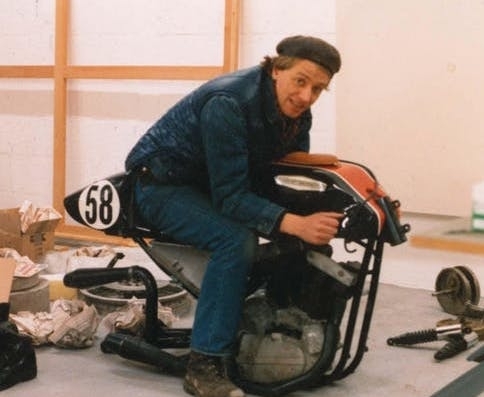 Join us for an evening of remembrances by friends and colleagues to celebrate the life of Professor Edward Allington at the Slade School of Fine Art. 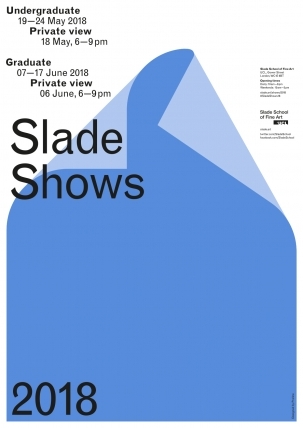 The annual Slade Degree Shows, showcasing artworks by graduating students from the UCL Slade School of Fine Art, will take place across May and June at the Slade School of Fine Art. 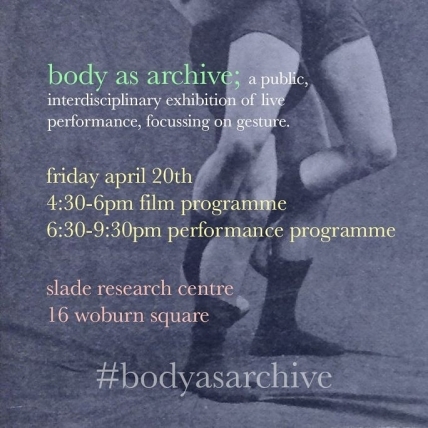 Body as Archive is an inter-disciplinary exhibition of short and durational live works focussing on gesture as both a communicative and performative act. 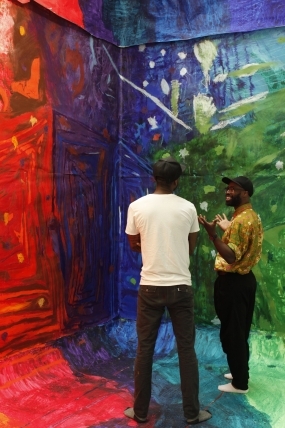 Widening the Gaze: A conference exploring the role of race in creative practice. 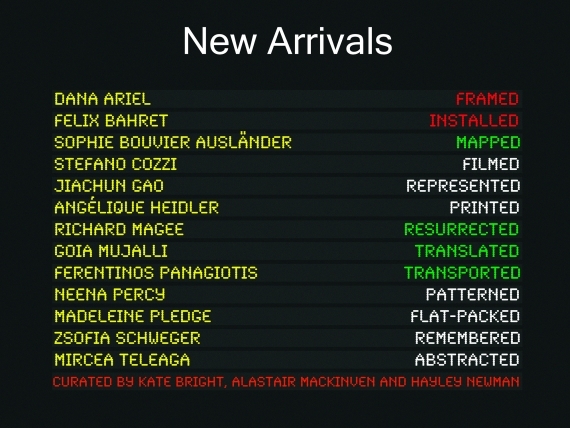 In an era of widely disseminated digital images, online publishing platforms, the Small Press Project responds to a material turn for publishing. 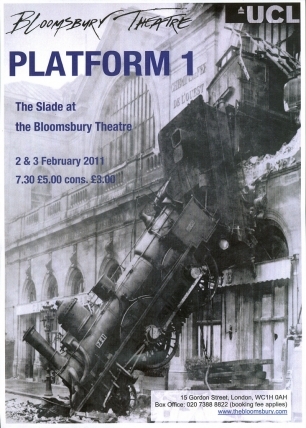 Two evenings of performances by Slade students at the Bloomsbury Studio Theatre. 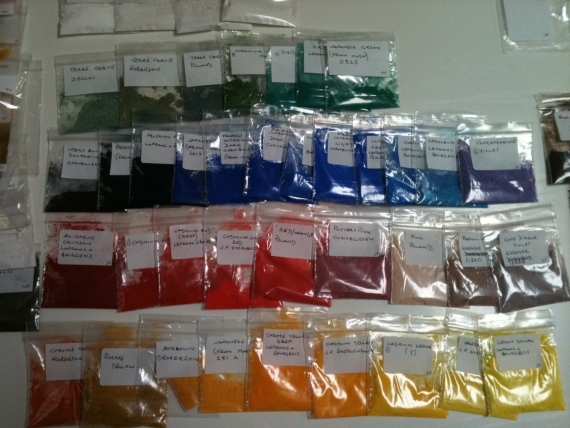 The Colour & Emotion exhibition is the outcome of an interdisciplinary and collaborative research project looking at colour, sensation and emotion. Professor Andrew Stahl’s inaugural lecture at UCL, Euphoria and Nausea, takes place at the Gustave Tuck Lecture Theatre, UCL on Tuesday 24 October 2017. 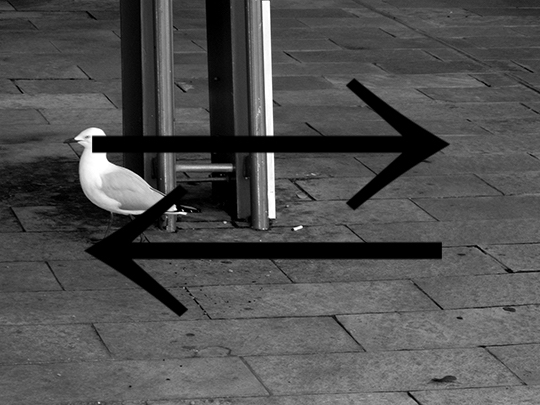 An exhibition of work by current 2nd year MA and MFA students is running from 30th September- 4th October. 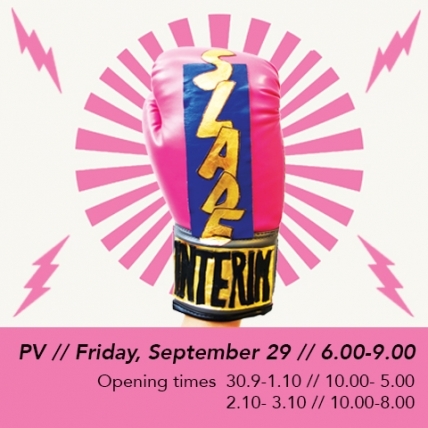 Private View 29th September, 6-9pm. 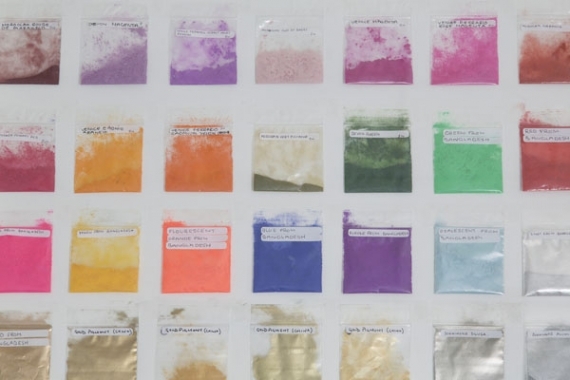 The 9th annual UCL Art Museum/Slade collaboration explores the traces that we leave on our environment: What do we value and what do we dispose of? 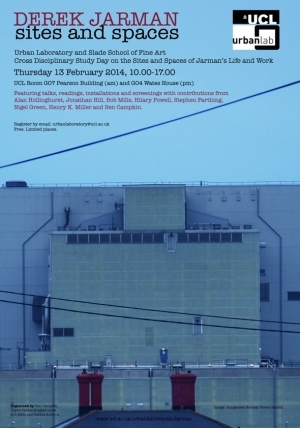 This trio of events explores the concept of situated practice in contemporary art, architecture and urbanism. 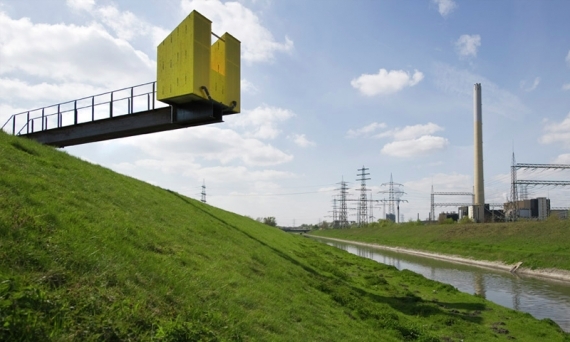 Set across the three months of the 2017 Folkestone Triennial, they will take place in three ‘edge’ locations linked by the High Speed One rail link between London and Folkestone. 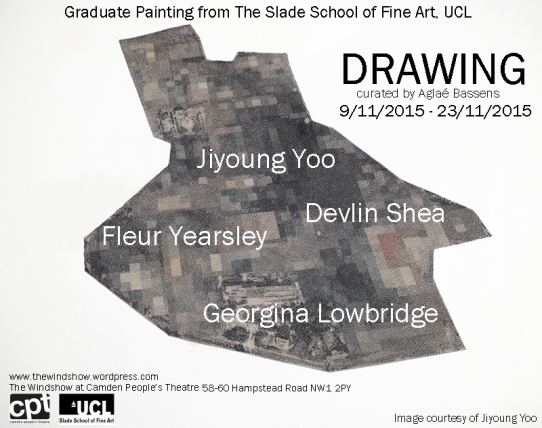 Join us for the Slade Summer School Foundation Show 2017, Slade School of Fine Art, Gower Street, London WC1E 6BT, on Thursday 7 September 2017, between 10am - 4pm. 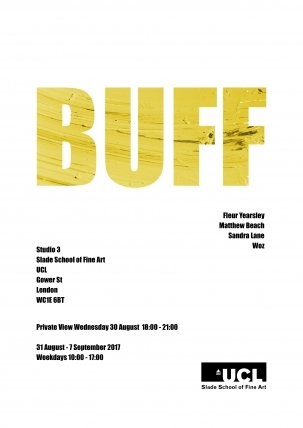 BUFF presents works by the Slade Summer School Artists-In-Residence. 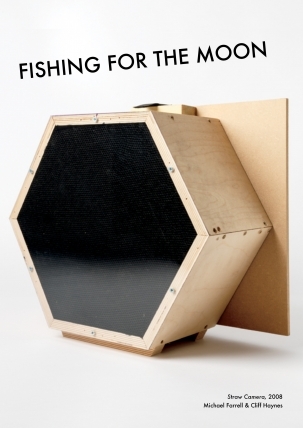 Featuring four recent MFA/MA graduates from the Slade School of Fine Art. 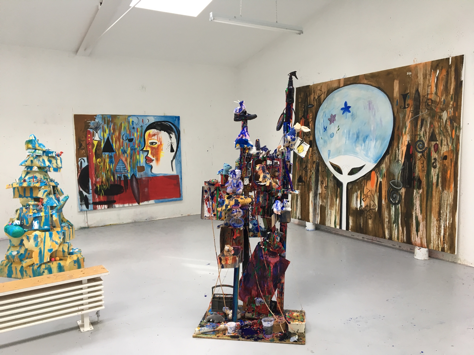 The London Summer Intensive is a four-week residency programme for artists offered by the Slade School of Fine Art and Camden Arts Centre. 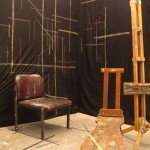 This event is part of a seminar series that seeks to increase opportunities for art educators to discuss practices across institutions and qualifications frameworks. 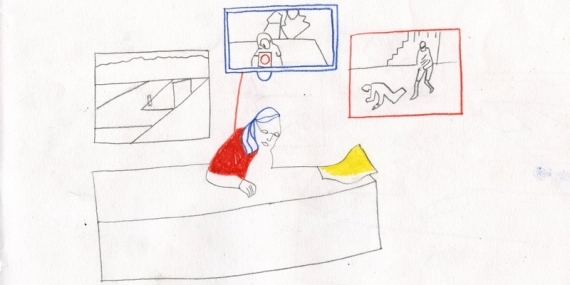 This one-day PhD workshop hosted by the Bartlett and the Slade, and funded by LAHP, the London Arts and Humanities Partnership, focuses on ethical dilemmas in art and architectural research and practice. 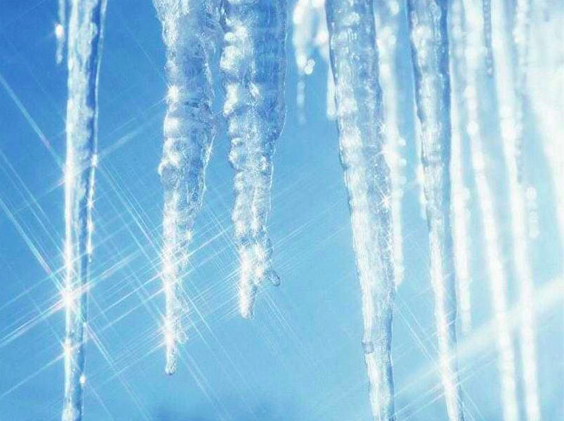 The Slade's Rock Room Project 2017 takes the shape of an experiment in the UCL Earth Sciences Cold Rooms - an Ice Physics Laboratory set at minus 20 degrees. 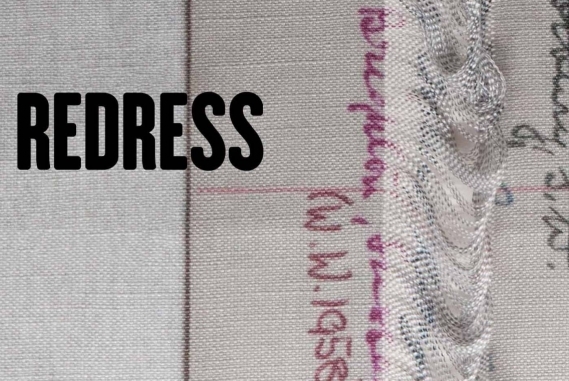 This exhibition follows the INSPIRE strategic exchange between the Slade School of Fine Art, UCL and the Faculty of Fine Art, Dhaka University. 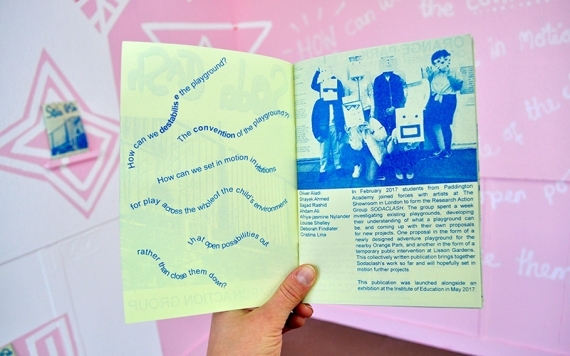 The Small Press Project encompasses a one-day symposium, a publication project, an exhibition and a mini artists’ book fair. 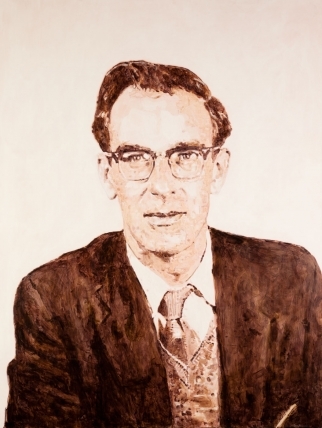 A memorial event to remember our dear friend and colleague the highly esteemed artist and Slade Professor Patrick George (1923-2016), celebrating his time at the Slade. 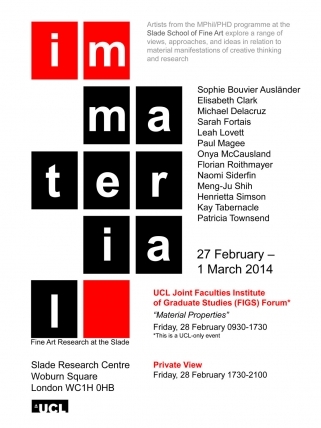 This exhibition includes work from students from across the undergraduate, graduate and PhD programmes. 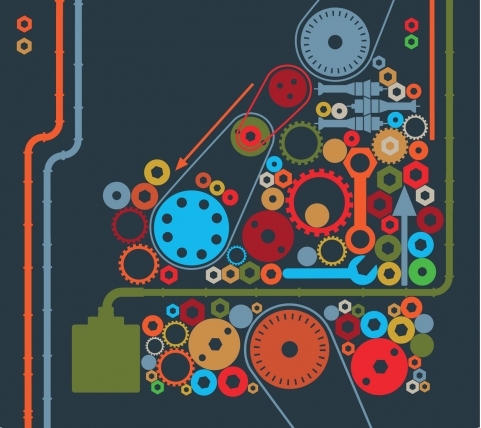 At a time of great change and uncertainty in Europe and across the world, where the order and structure of ways of life are significantly changing, what’s at stake during these great shifts? 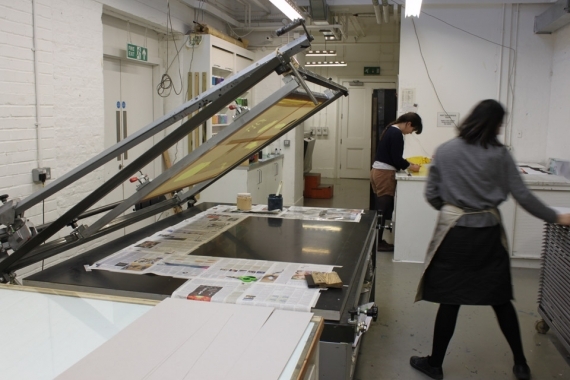 Lesley Sharpe (Teaching Fellow in Print) and James Keith (Printmaking Technician) will showcase prints produced by Slade students during a workshop inspired by the soft ground etching technique and anastatic printing methods. 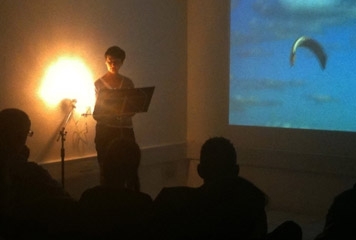 Slade School of Fine Art presents an evening of performances and screenings across the MA/MFA/PhD programmes at the Bloomsbury Studio Theatre, UCL, London curated by Eom Jeongwon and Georgia Lucas-Going. 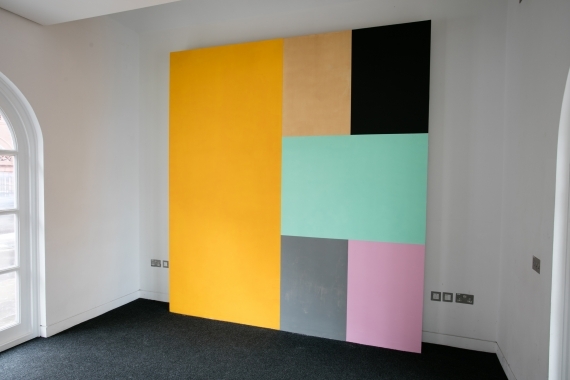 An exhibition of two wall works exploring colour and surface, by Slade School of Fine Art staff Estelle Thompson and Jo Volley. Professor David Dobson, UCL Earth Sciences and Slade Scientist in Residence gave his inaugural lunchtime lecture, Elephants in Stilettos, which took place on 11 January 2017, at the Haldane Room UCL. 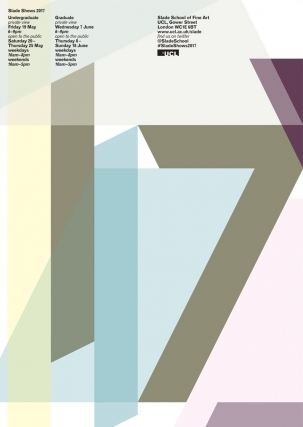 The Slade Print Fair is on 11am - 5pm on 21-22 October 2016 during the Bloomsbury Festival at UCL. 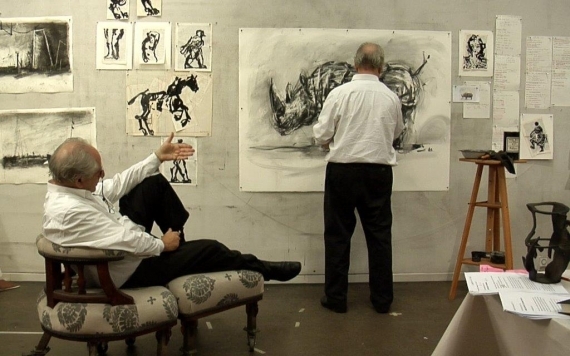 The Slade is delighted to welcome South African artist William Kentridge as the guest speaker for The William Townsend Memorial Lecture 2016. 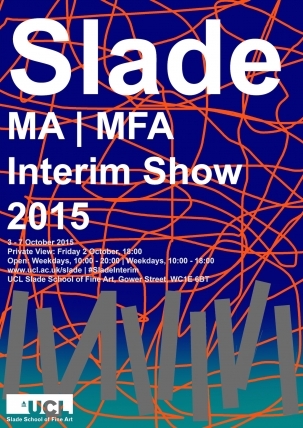 The Slade School of Fine Art MA/MFA Interim Show 2016 will take place at the Slade School of Fine Art, Gower Street, London WC1E 6BT, from the 1 - 5 October 2016. 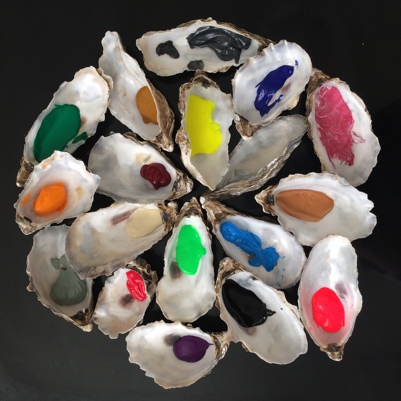 Vault: 7th Annual UCL Art Museum/Slade Collaboration is showing at UCL Art Museum from 26 September - 16 December 2016. This event will explore a range of international and interdisciplinary approaches that can help us better understand encounters with pain both within and beyond the clinic. It will divert radically from the traditional academic conference format to encourage exchange between different groups affected by pain. 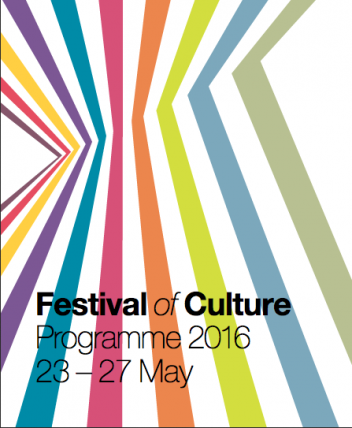 As part of UCL's Festival of Culture, the Slade Salon is taking place from 2pm on Wednesday 25 May 2016, in the IAS Ground, Wilkins Building, UCL, London. 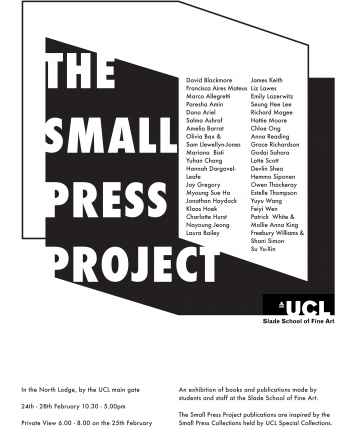 The Small Press Project Event will host discussions about a range of artists’ publications, their qualities and the mechanisms that support them, and an exhibition of work by students and staff from the Slade School of Fine Art on Thursday 25 February 2016. 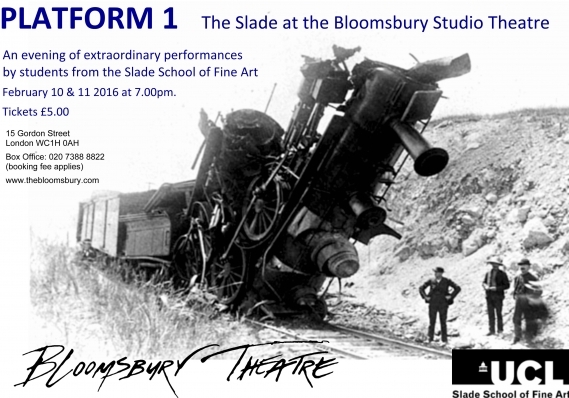 An Evening of Extraordinary Performances by students from the Slade School of Fine Art, UCL at the Bloomsbury Studio Theatre, on 10 - 11 Feb 2016. 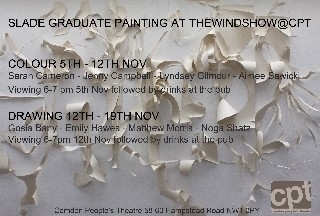 This show is the result of a collaboration between Graduate Painting at the Slade School of Fine Art and thewindshow exhibition space at Camden People’s Theatre (CPT). 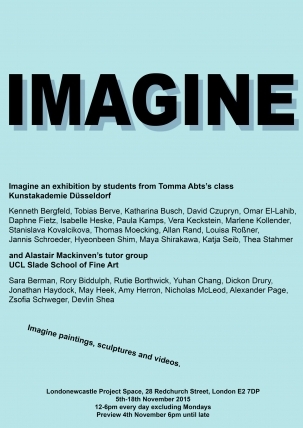 IMAGINE AN EXHIBITION by students from Tomma Abts's class at Kunstakademie Düsseldorf & Alastair Mackinven's tutor group at UCL Slade School of Fine Art. 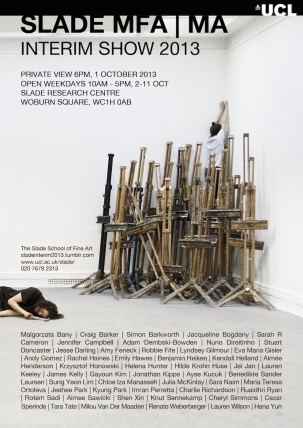 The Slade School of Fine Art MA/MFA Interim Show 2015 will take place at the Slade School of Fine Art, Gower Street, London WC1E 6BT, from the 3 - 7 October 2015. 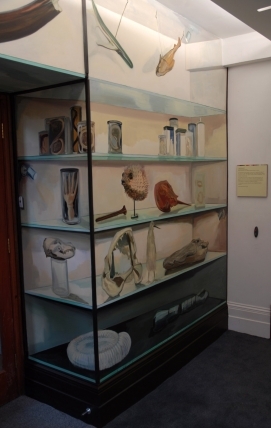 Eleanor Morgan, Leverhulme Trust funded Artist in Residence at the Grant Museum of Zoology, is showing Glass Delusions at the Grant Museum of Zoology. 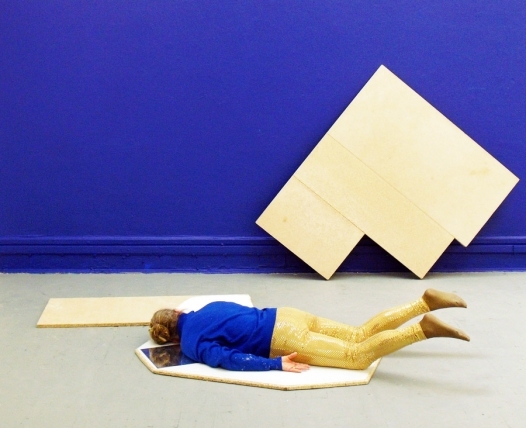 From 2015 the Slade will be offering The London Summer Intensive, an annual four week residency programme for artists in collaboration with Camden Arts Centre. 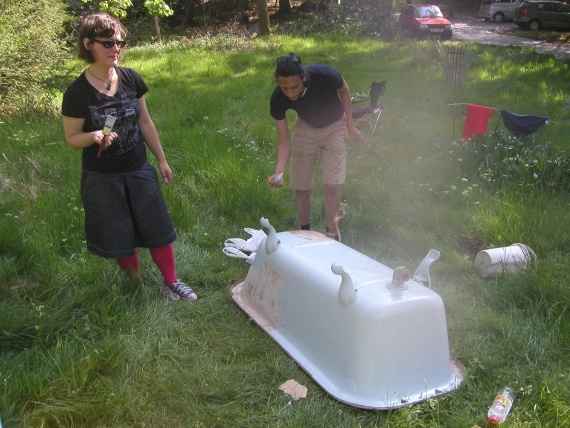 FLEX is a 4 year collaborative project between Camden Arts Centre, The Slade Research Centre and Undergraduate Sculpture at The Slade School of Fine Art, UCL. 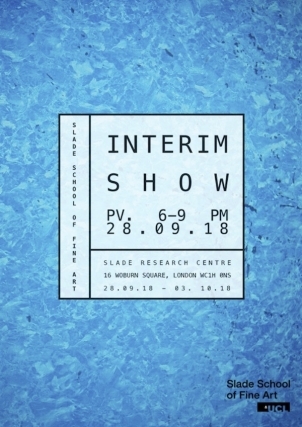 As part of the UCL Festival of the Arts, The Slade School of Fine Art will host a series of short taster presentations on current research projects. 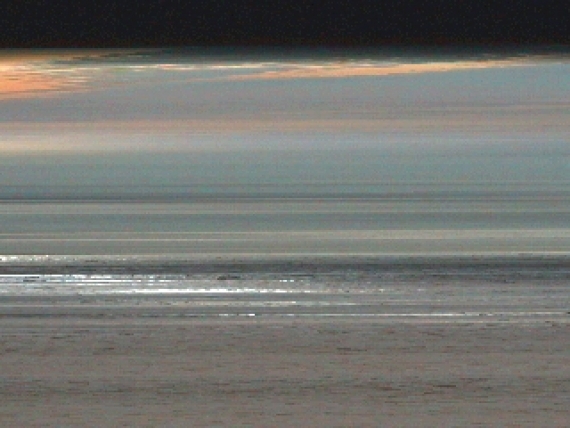 Professor Sharon Morris is giving her Inaugural Lecture, “The first smile”: A Poetics of the Ephemeral and Durational, on Tuesday 12 May 2015 at 6.30pm. Booking is on Eventbrite. 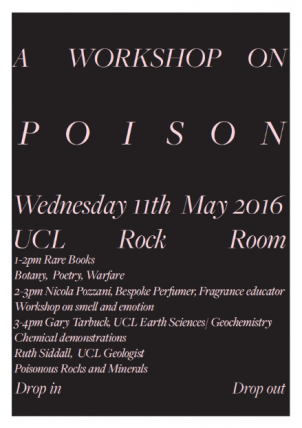 The Slade Rock Room Project 1-day pop-up exhibition takes place at the UCL Rock Room on Friday 8th May 2015, from 1 - 5pm. There is a discussion at 3pm. 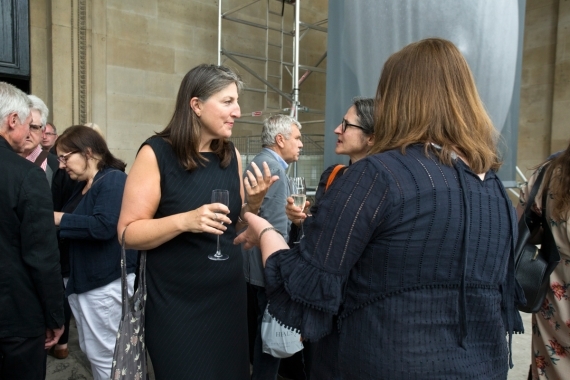 The exhibition marks the reopening of UCL Art Museum after a programme of improvements that enhances its use as a research, learning and public engagement resource for inspirational and experimental academic and creative journeys. 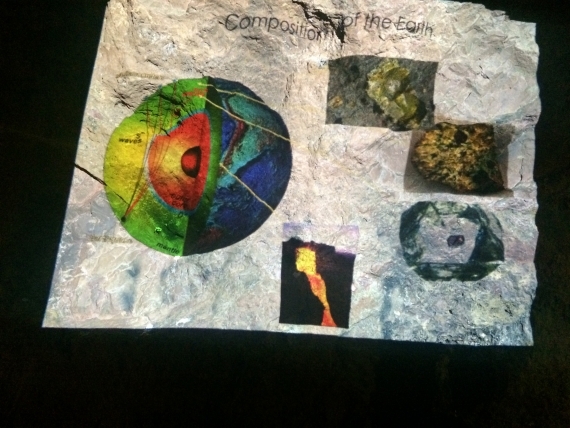 As part of the Slade Rock Room Project, a collaboration between the Slade School of Fine Art and UCL Earth Sciences, we are presenting a 1-day Sculpture Park taking place in the grounds and building of the UCL Mullard Space Science Laboratory in Surrey. 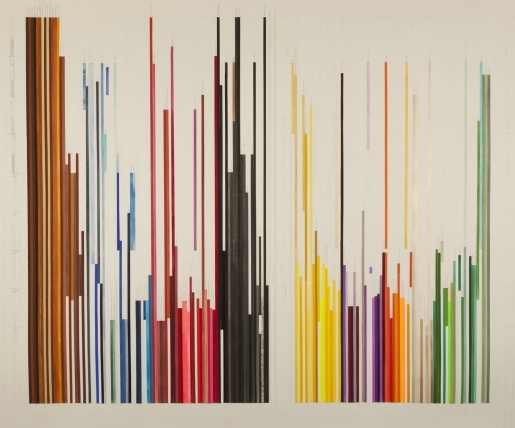 The Red Mansion Art Prize Exhibition will take place at the Slade Research Centre, Friday 20 March – Friday 27 March, 10:00 – 18:00. 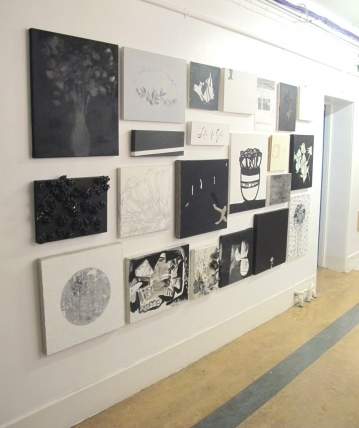 An exhibition of student work from the Slade School of Fine Art, curated by Kate Bright, Alastair MacKinven and Hayley Newman at 12 Star Gallery, London. 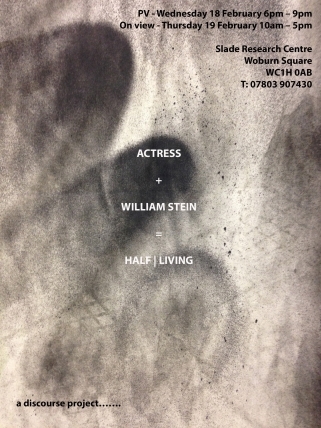 A discourse project, Actress + William Stein = Half Living, is showing at the Slade Research Centre on 19 February 2015. 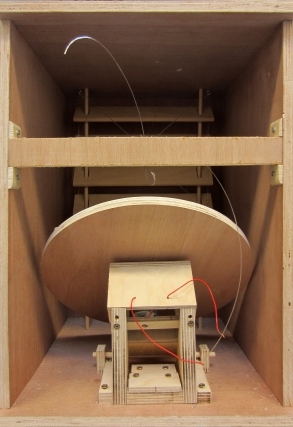 This project, a collaboration between Kanad Chakrabarti and Dr Jason Lotay of UCL's Mathematics Department, looked at the Clifford Torus, which is a fibration, or map, of the 3-sphere. 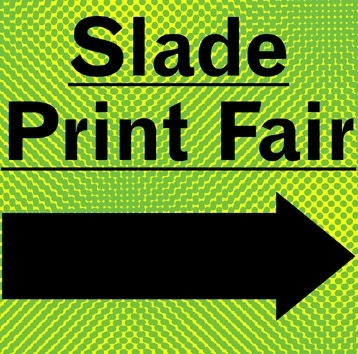 The Slade Print Fair is a fundraising event to raise scholarship funds for Slade students at the Slade Research Centre, Woburn Square, London WC1H 0HB. 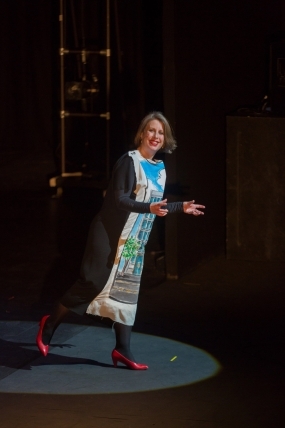 Phyllida Barlow, artist and Emerita Professor of Fine Art, was the speaker at The William Townsend Lecture 2014. 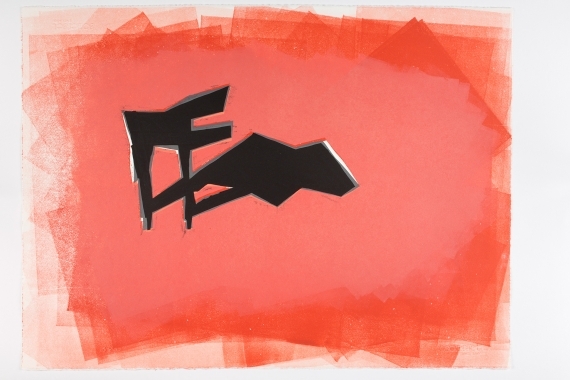 The Slade Print Fair is pleased to announce that we will be at Multiplied 2014 on Stand 42 at Christie's, 85 Old Brompton Road, London SW7. 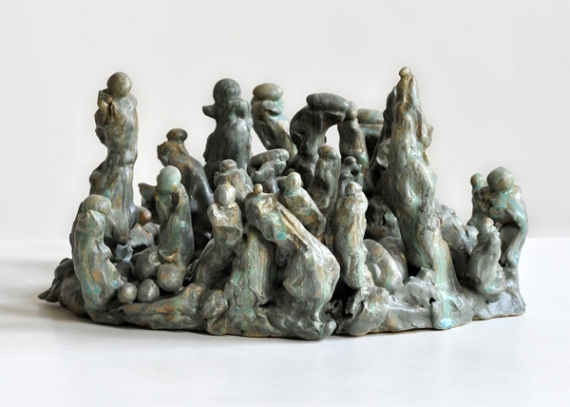 Hashhush’ by Hilde Krohn Huse is a visual depiction of a twitter event. 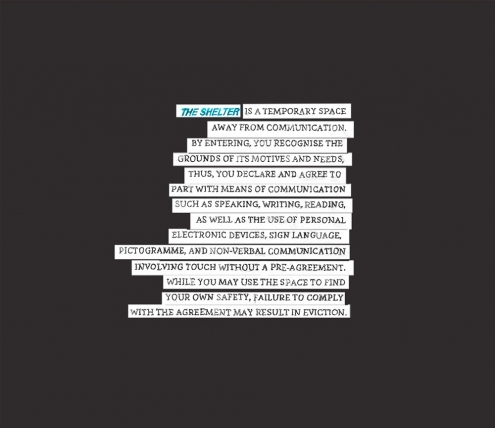 This time based media artwork was commissioned by the Museum of London in partnership with the Slade School of Fine Art and supported by Arts Council England. 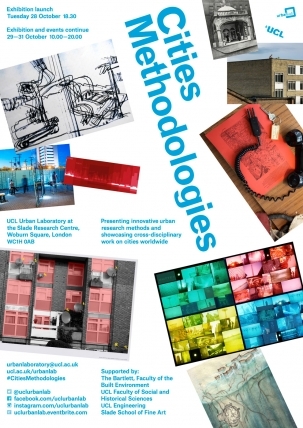 The Slade School of Fine Art hosts short taster presentations on current research projects at the Wilkins North Cloisters, Wilkins Building, UCL on Wednesday 28 May, 2 - 5pm 2014. 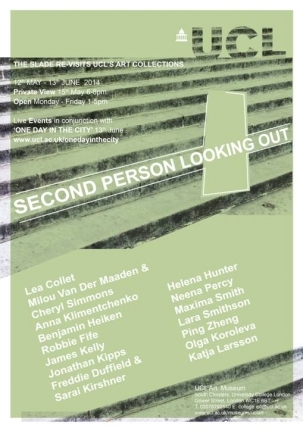 Current Slade students are showing in Second Person Looking Out, at UCL Art Museum, South Cloisters, UCL, Gower Street, London WC1E 6BT, from 12 May - 13 June 2014. See www.ucl.ac.uk/museums/uclart. 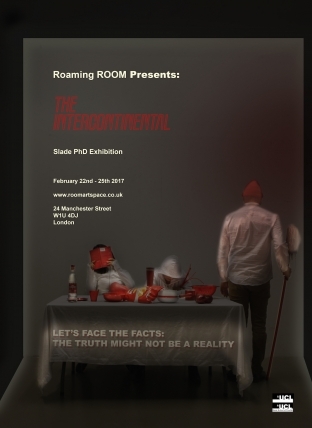 Students from the Slade School of Fine Art take up residence at the UCL Rock Room for a single day of intervention. 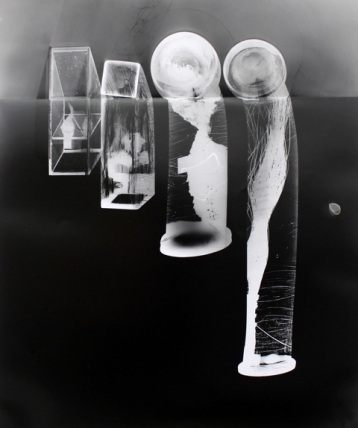 How can we see in 4 dimensions? 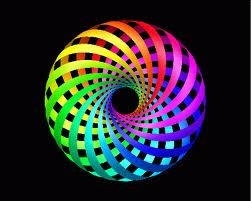 What does the 4th dimension even mean? 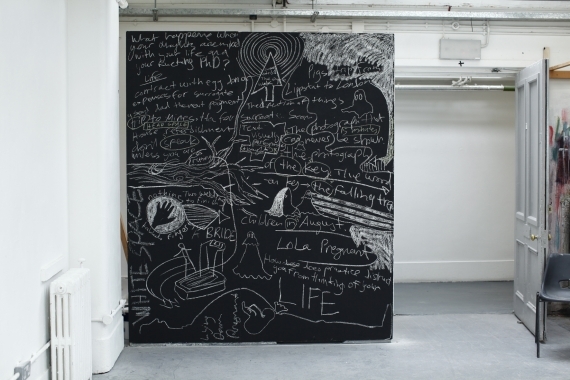 The Shelter, facilitated by current student Ellen Yeon Kim, takes place at Main Quad, UCL, Gower Street, London WC1E 6BT, from 3 - 31 March 2014. 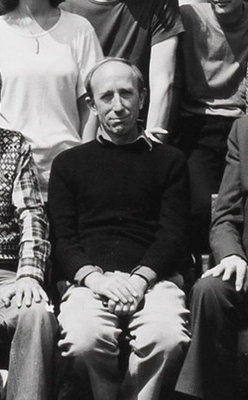 UCL will commemorate the twentieth anniversary of Derek Jarman’s death with a study day on 13 February 2014 focused on the spaces of his life and work. 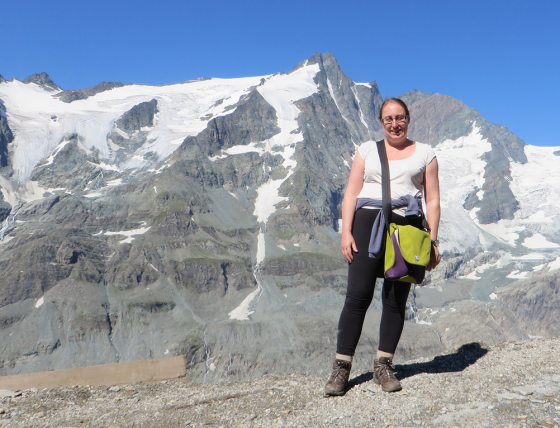 Professor Susan Collins gives her inaugural lecture at the Wilkins Gustave Tuck Lecture Theatre, 2nd Floor, South Junction, Wilkins Building, UCL, Gower Street, London, WC1E 6BT, on Tuesday 4 February 2014 at 6.30pm. 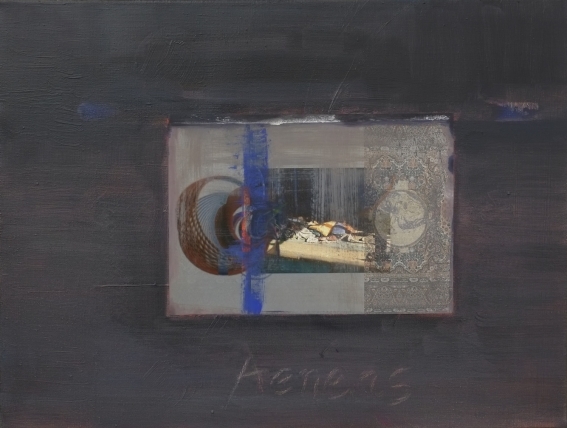 Time-Based Media presents selected works from the Slade School of Fine Art, acquired by UCL Art Museum through the William Coldstream Prize. 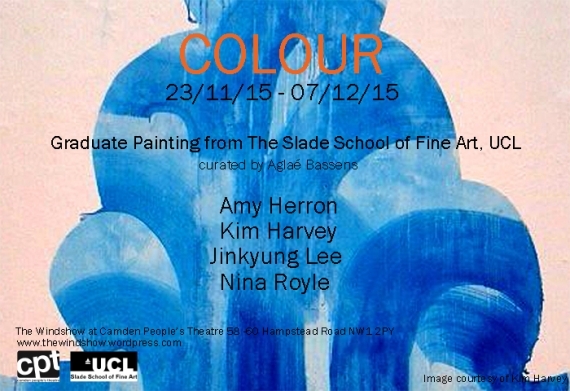 A celebration of artworks by Slade staff, students, alumni and special guests. Prints and multiples will be for sale with all proceeds supporting Slade student scholarships. 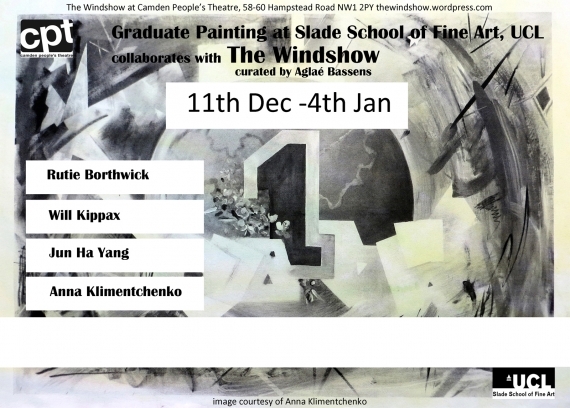 This show was the result of a collaboration between Graduate Painting at the Slade School of Fine Art and thewindshow exhibition space at Camden People’s Theatre. 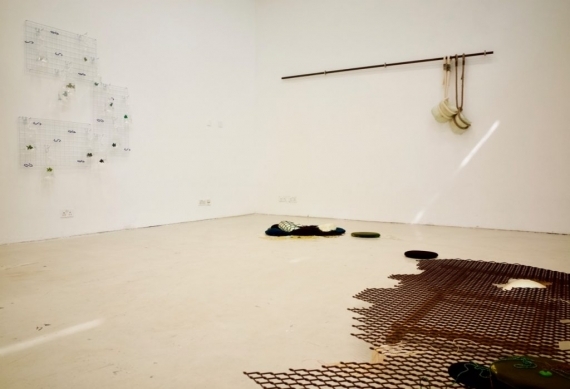 Four recent graduates of the Slade School of Fine Art: Robert Crosse, Jennifer Martin, Hannah Shin and Zoe Shoenherr travelled to Qatar for four weeks to work alongside four emerging Qatari artists using studio space at the Msheireb Arts Centre, Qatar. 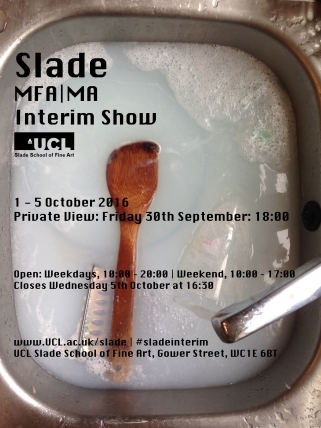 The Slade MFA/MA Interim Show offers a chance to see the work of MFA & MA Fine Art students entering their second year of study at the Slade. 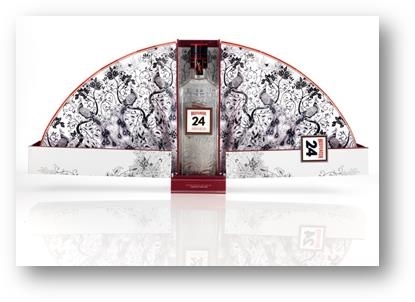 Beefeater 24 is giving up-and-coming artists the opportunity to have their design featuring on the next Beefeater 24 limited edition gift pack. 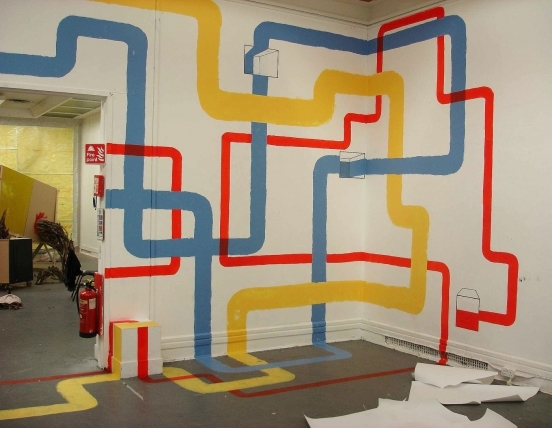 For Slade School of Fine Art students, the best entry will win £1,000. 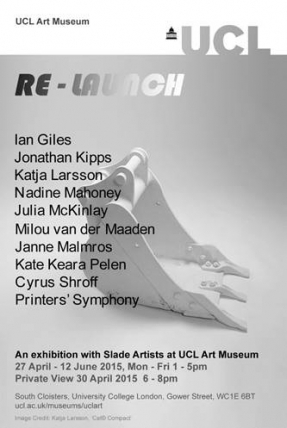 Sculpture students from the Slade School of Fine Art at UCL have been invited to create works in response to the Museum’s collections. 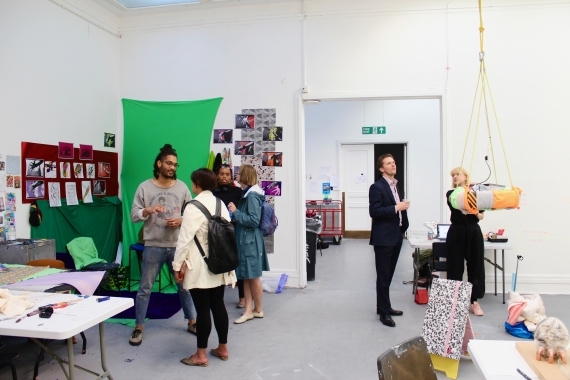 habits, cleavages and fractures is a one day pop-up exhibition staged by Graduate Sculpture students from the Slade School of Fine Art. 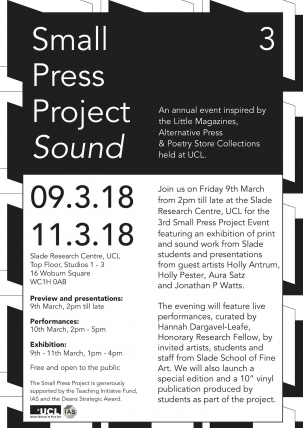 The Slade Salon is an afternoon of short taster presentations on current research projects at the Slade School of Fine Art, UCL, with video montages of staff and student work on display. 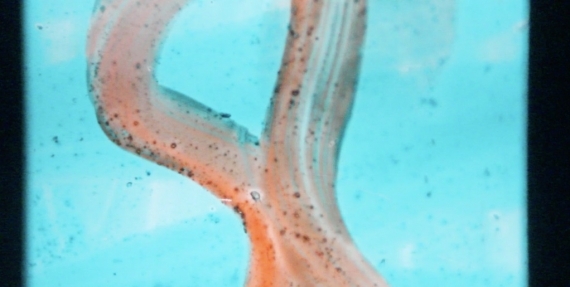 Duet is the fifth annual collaboration between the Slade School of Fine Art and UCL Art Museum. 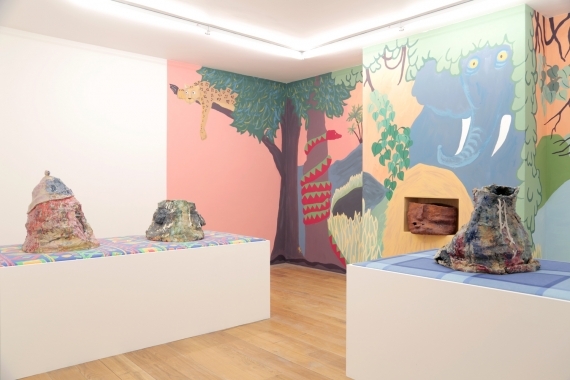 Slade MFA student Sarah Cameron has been awarded a commission by the Grant Museum, funded by Department of Culture, Media and Sport, Wolfson Museum and Galleries Improvement Fund. 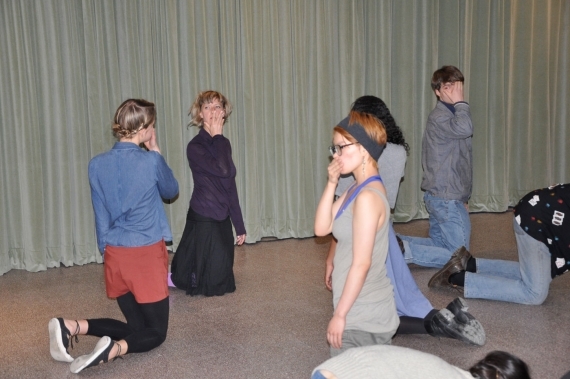 Slade students took part in helping to devise and perform in the dance section of lecturer Hayley Newman's Crisis Cabaret at the Barbican Theatre on the 13th March 2013. 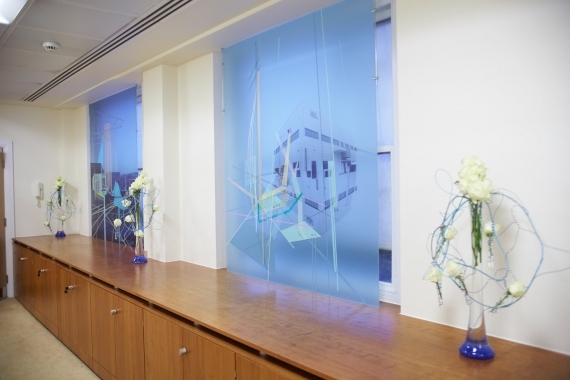 Laird PLC ran a competition, partnered with Arts & Business, to find an artist who could help improve the aesthetic environment of their meeting room space at 100 Pall Mall. 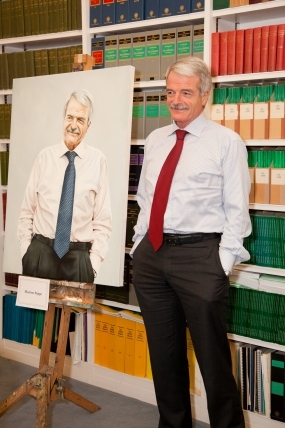 The Provost Portrait competition was launched to mark the end of UCL Provost, Professor Malcolm Grant’s tenure, and open exclusively to students and recent graduates of the Slade School of Fine Art. 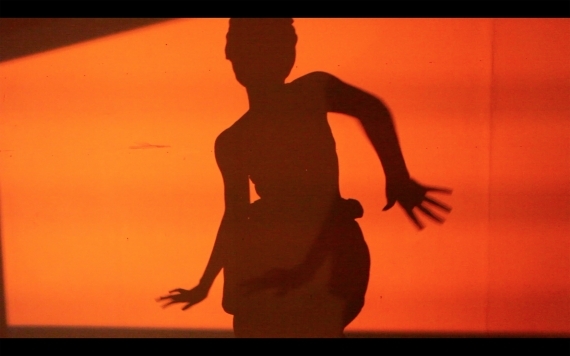 Videoooooh was a collaboration between the Slade School of Fine Art, UCL The One Minutes Foundation, Amsterdam and the Flemish/Dutch house de Buren, Brussels. 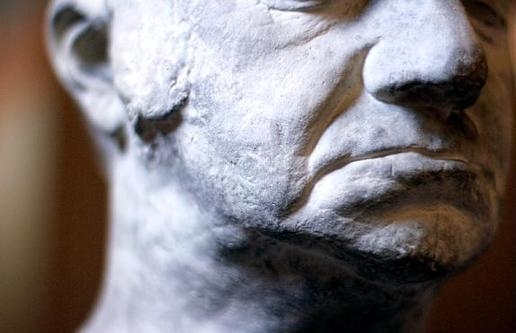 Vincula: The Slade revisits UCL’s art collections. 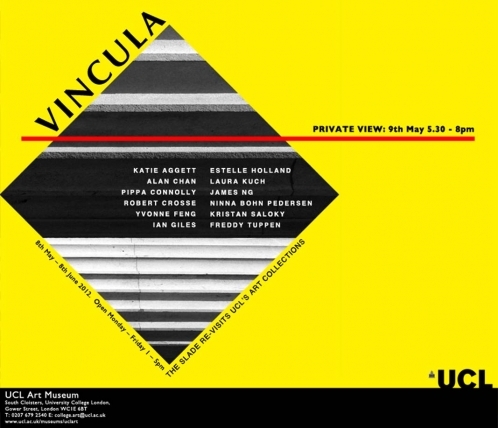 Vincula, was a group exhibition of new artworks made in response to past masters. 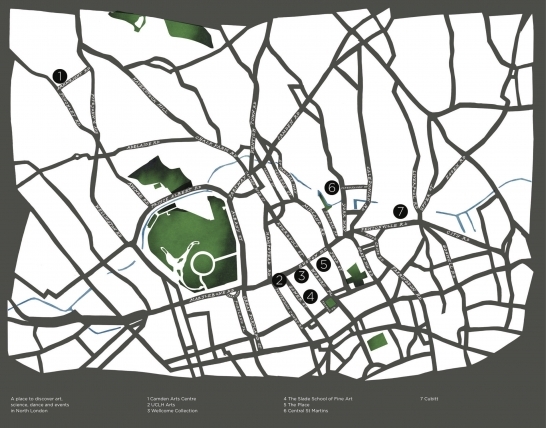 Junction: North London Cultural Consortium is a creative collaboration between arts organisations; a place to discover art, science, dance and events in North London. 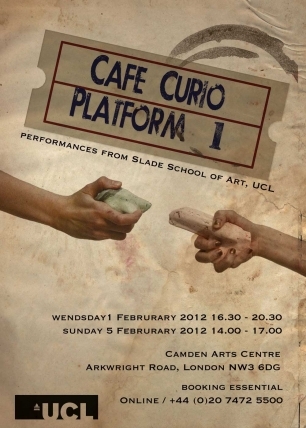 Two days of performances from students from the Slade School of Fine Art, UCL. 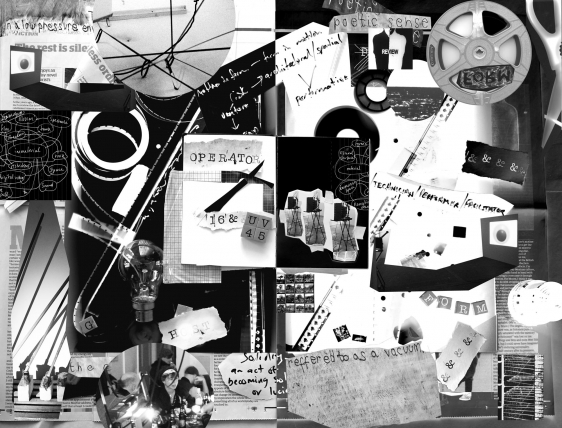 Visual Thinking is an ongoing series of events offering a platform for research based in contemporary visual arts practice. 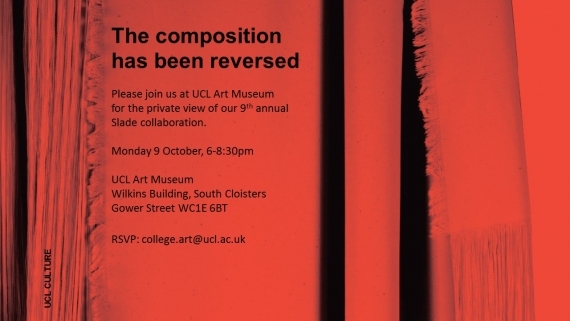 Moreover is the third annual invitation by UCL Art Museum to the Slade to revisit the past masters and create new works in response. 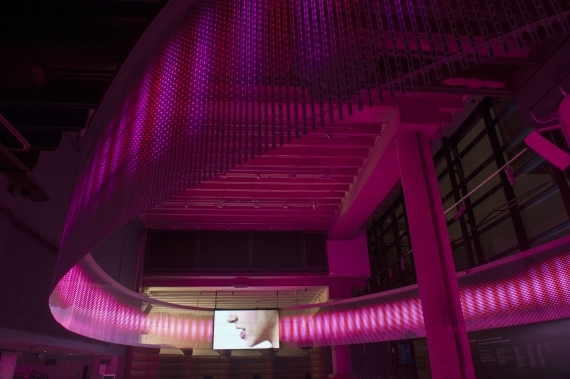 In 2011 UCL Engineering Department commissioned students from the Slade School of Fine Art to design a 12 floor digital artwork for the Roberts Building main stairwell. The Denys Holland Portrait Competition invited submissions from all current and graduating students at the Slade School of Fine Art (UCL) in 2010/11. A programme of extraordinary performances never seen on television. 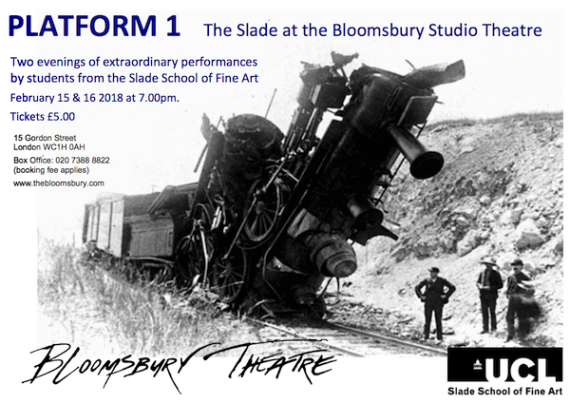 Slade School of Fine Art students presented for the stage re-enactments of famous deaths, song, dance, slaughter, eating, incontinence and much more. 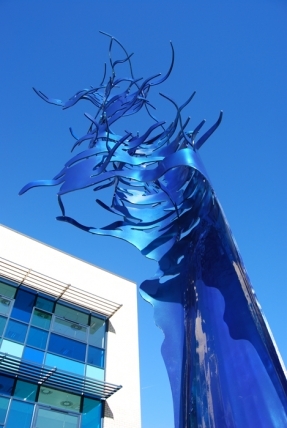 Ahead of its move to new global headquarters at Nottingham's NG2 development in 2010, Speedo launched a competition for designers and artists to create art installations and furnishings for their new building and students from the Slade School of Fine Art were invited to submit ideas. 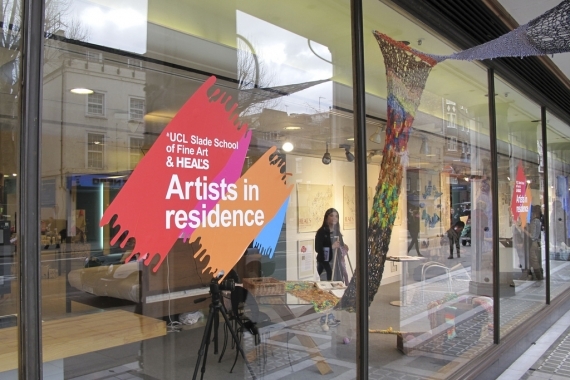 For one week in the spring of 2010 and again for a week in spring 2011 students took up residence in the windows of the Heal’s store on Tottenham Court Road to create original and limited edition artwork and installations as part of Artists in Residence 2010 and Artists in Residence 2011. 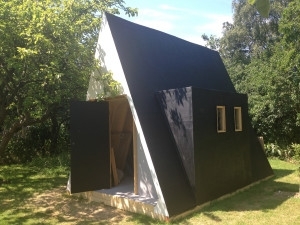 Slade graduate students have been pioneering one-week residencies at Kurt Schwitters' Merzbarn in Cumbria funded by the Slade Project Award Fund and organized by Professor Edward Allington, Head of Graduate Sculpture.